I am regularly asked to assist with communication difficulties among families that I coach. Sometimes there is such a disconnect within the family that when I meet them, they are hardly speaking at all, or all of their communication is negative and not working for the family. It is important to ask – are you sending your children the right messages by the way that you speak to them and the way that you listen and expect them to reply to you? Can NLP help your family communicate better so that there will be more peace and less conflict in your daily parenting life. By changing some very simple behaviour that is negative but habitual, you can change the whole atmosphere in your family home. I just finished re-reading a great book called Hidden Messages by Elizabeth Pantley which I will put a link to at the end , but what inspired me to put this into a post was the link that I drew from my Neuro Linguistic Programming (NLP) training combined with the parenting advice I have been giving over the years. The book just reminded me how important our words are and how our children are deeply affected by the way that we speak to them – sometimes without even realising we can be damaging them and creating problems for the future. When I was studying NLP a lot of what I learned made sense, and I enjoyed applying the knowledge to the already more than 2 decades of childcare and parenting work I had been doing. I realised that NLP could be a highly effective tool for all kinds of communication issues, including parenting. When I applied NLP to the techniques of parenting, the habits and resulting behaviour changed the outcome for parents dramatically. For most, NLP techniques when practised in daily life can become a tool that serves both the parents and the growing child throughout their lives. 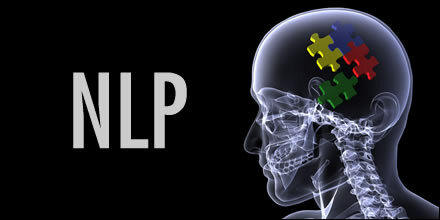 NLP helps you to understand the language-brain-memory connection and how the language you use both in talking to yourself and to those around you, has the potential to impact on the responses your receive and how your mind stores these links. It would therefore seem pretty obvious that if you use negative language you can expect to learn negative behaviour and in turn get a negative result and vice versa. Even our self-talk, the way we speak to ourselves, if it is negative, can cause discouragement, fear, anxiety and even stop people from taking the necessary steps to create success in their lives. Repeating language or actions until they become unconscious and automatic, can create a pattern of potentially destructive behaviour that we hardly notice we are doing until it impacts us negatively and we question why are things happening a certain way. After I became a certified NLP coach, before really practicing professionally, I wanted to test the theories I had learned during training and so I went about life using every communication opportunity to put NLP to the test. I was astonished by the results. I compared how I had been speaking and listening before and the results I achieved to those after NLP and there was truly a dramatic difference. My ability to ‘read’ people also changed. NLP had prepared me to look at the language other people used, to tell me what that person’s tendencies were. e.g. are they a person who uses lots of kinesthetic (touchy, feely) language or are they using language which focuses on hearing such as ‘yes I hear what you say’ in their everyday conversation. With this information I was able to change what words I used to get better results. In relation to children, this new knowledge opened up a whole new world for me. I had always been pro positive language in relation to raising children. I counselled parents for decades to use positive language even before I fully understood the impact and how critical it is to make it a full blown part of family life. 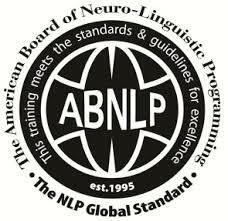 NLP techniques help to facilitate using the knowledge we gain about language patterns and then adapt the way that we use language with each person depending on their tendencies. NLP has many applications but I found that the change it made in coaching parents to communicate with their children had dramatic and very positive effects. One observation I made was that when a child mirrors or copies a parental behaviour, which all children do, there is often confusion in the way that they speak. This would depend on how in tune the parent and child were to each others language tendencies. Parents can misinterpret a child’s responses as a child being stubborn or difficult or ignoring a parental request. Children can interpret the parental language as bossy, unforgiving and aggressive. In fact the children seemed to be fighting their natural instincts to use language that was comfortable for them in favour of using language that was ‘expected’ by the parent or learned from copying what a parent did. The end result was a total disconnect in the parent/child relationship and often a breakdown in communication or a frustrating pattern of negative exchange, arguments, or unacceptable behaviour. Fixing this problem seems pretty obvious- change the language – change the outcome, but habits take consistent effort to break. In response to a difficult situation where a child and parent are in conflict, language is a great place to start. Feedback from both parent and child has shown me both parties need to learn to use words that are easy and comfortable for the other to hear and speak. By making some simple adjustments it is possible to solve a whole range of relationship issues that families experience and improve family communication substantially. The most important first step I believe is to LISTEN to your child. See what kind of language they use with you. You don’t need heaps of NLP knowledge to apply a simple step of mirroring the language used and favoured by your child. If your child says sentences such as ‘I FEEL happy doing this’, ‘i’m COMFORTABLE with that’, ‘this CUDDLY thing makes me happy’, then you know they have kinisthetic tendencies. This could manifest as your child being attracted by things such as soft items, or items that they observe the texture of, and they will respond well to language that emphasises this trait. You may notice even in a young baby or toddler that they are drawn to soft textures and comfort behaviours such as rubbing the label inside a vest, or running their hands over different textures wherever they are. When they begin to talk, you will notice these characteristics in the language they use. Start to introduce kinisthetic words, actions and behaviour and you will immediately notice that your child is listening to you much better because their natural instincts and language preferences are receptive to what is comfortable for them. Another critical step is to assess what language your use repeatedly. Check whether you say things under your breath that you think your child won’t notice. Check if you are regularly critical in the way that you speak. Check how often your repeat an instruction or voice a demand and see if there is a more positive way that you can approach things, or a more positive language you can use. The words that you use to describe or talk to your child will become linked in your mind in a way that this is how you begin to see your child. For example, if you regularly say to your child ‘you are stubborn’ then your perception of your child will ultimately be that your child is ‘stubborn’. You will be surprised to see how changing the language of things in life, can change your entire perception and give you a new more positive view. Parental examples are also critical. Don’t be surprised the first time your child says to you ‘I will come in a minute’ when you call them for dinner. If you stop to think, it may be obvious that you tell them constantly ‘I will play with you in a minute’. They are simply using what they have learned in the same way that you do. What you demonstrate is what your child will copy so be aware you are being watched and you have to be the best example you can be. Even when you are trying to protect your child, you may be using negative language, that you can alter very simply. For example ‘don’t play on the staircase’ can be turned into ‘play in this room there is lots more space for you and we can play together’, or ‘don’t hurt your baby sister’ changed to ‘let me show you what the baby really loves from you’. The result you will achieve will be that your child is safer and you didn’t end up in a fight about playing on the stairs. Imagine that you are the child and that you are being spoken to that way. How would it feel for you. Would you expect to get the best results if somebody spoke to you in that way or would you feel demotivated, deflated, insulted, hurt? A simple change in language such as ‘don’t talk to me with your mouth full’ turned into ‘when you have finished your mouthful I would love to hear what you have to say’, will encourage your child in a non-critical way to respond to you and show you much more of the behaviour that you would like to see and much less of what you don’t want to see. The smallest change can make the largest difference. As parents we often don’t realise that some of our language becomes a habit and when our children mirror it, we don’t understand where it comes from. Self assessment plays a large part in changing behaviour and creating a more peaceful environment for your family. NLP works really well for all relationship issues and the results you will achieve can work very quickly. Consider NLP if you haven’t thought about it as something that can assist you in parenting or any other personal or professional relationships. Simply being aware of how you speak and the language you use, can be a very positive starting point for effecting change in the future. Start with yourself and be the best example you can be and your parenting style will change naturally and become more rewarding, more positive and more balanced. Sharon is a member of ABNLP and is a certified NLP practitioner. If you would like to discuss a parenting solution using NLP, get in touch here. If you would like to receive updates about posts relating to NLP or other useful parenting tips why not sign up now for updates here. The suggestions here sound quite practical and easily initiated. I have not read much about NLP (my wife and I are parenting specialists using temperament/behaviour for assessing and coaching), and I would support your thoughts on the critical nature of communication. Thanks for sharing. Thanks for your feedback. Yes NLP is easy to incorporate in everyday life. It’s more about changing the root than treating the tree so it’s long term success is based on sound practical strategies that become unconscious new habits.